As TPG discovered on a 2014 trip from Sydney to Honolulu, Hawaiian’s long-haul A330s were very much in need of an upgrade. 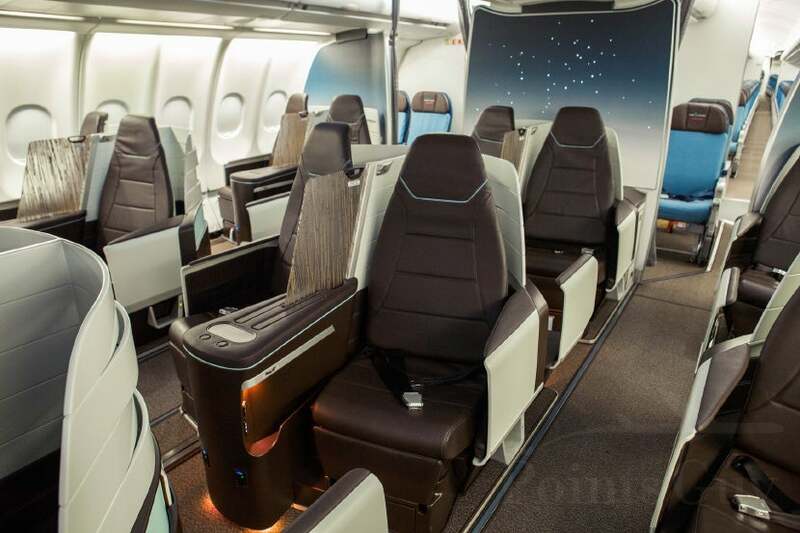 This week, that overhaul finally came, as Hawaiian Airlines unveiled its much-anticipated lie-flat business-class cabin. We asked Honolulu-based photographer Anthony Quintano to swing by the carrier’s HNL headquarters to snap a few shots and pass along his impressions, which TPG Editor-in-Chief Zach Honig shares below. 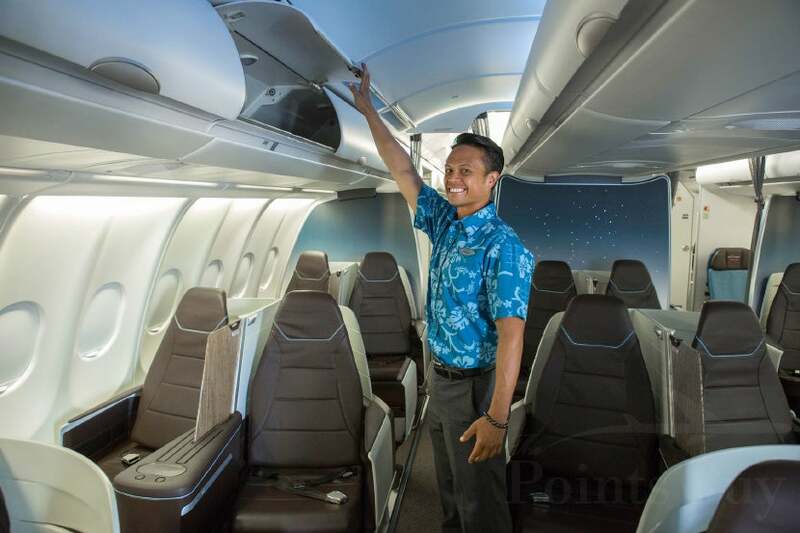 Hawaiian operates both Boeing 767s and Airbus A330s on its long-haul routes, but the carrier’s latest business-class update only covers the Airbus fleet. There’s one plane currently outfitted (the aircraft we visited yesterday), and the remaining 22 will be updated between now and the end of 2017. 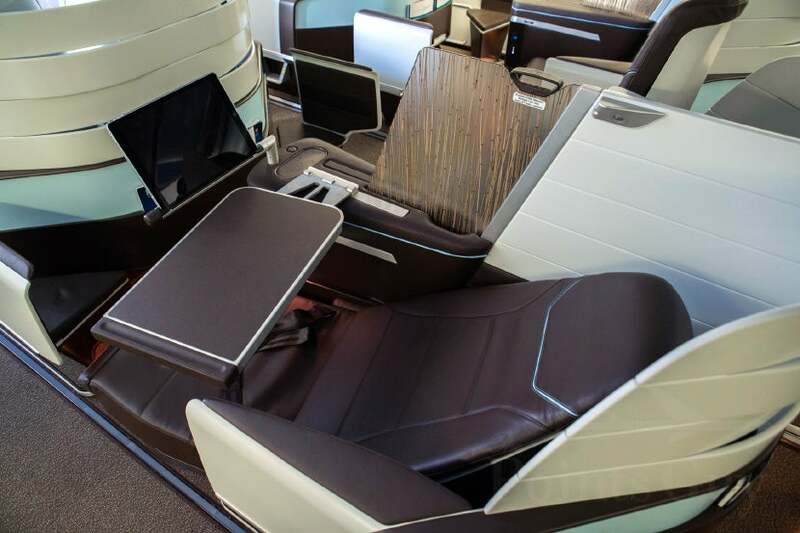 So by this time next year, there’s a very good chance your Hawaiian Airlines flight from the US to Hawaii will offer lie-flat seats in business class. 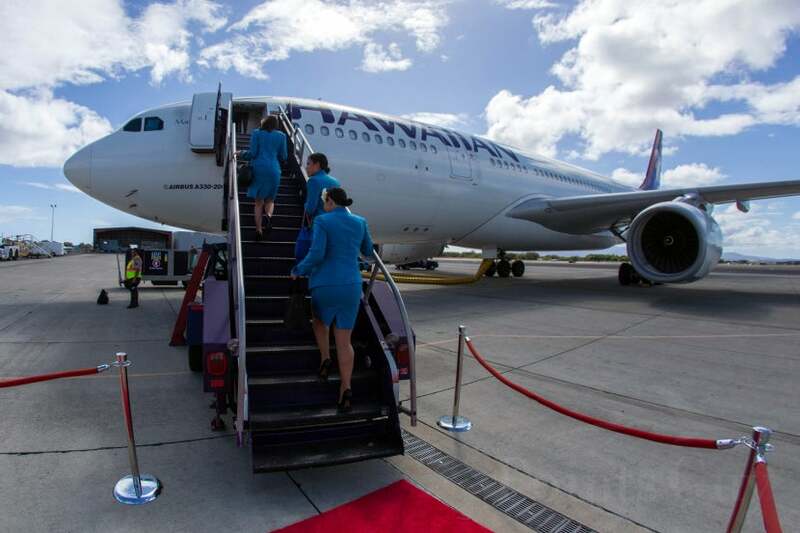 Hawaiian Airlines’ recently refreshed A330. 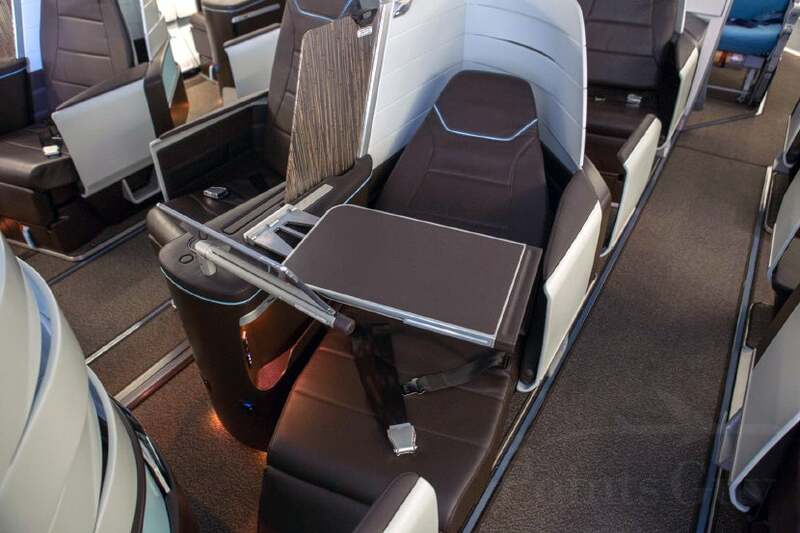 Hawaiian Airlines’ new A330 business-class cabin consists of three rows of 18 seats. As Anthony boarded, Hawaiian was playing soothing nature sounds throughout the cabin, making for a fairly relaxed environment. 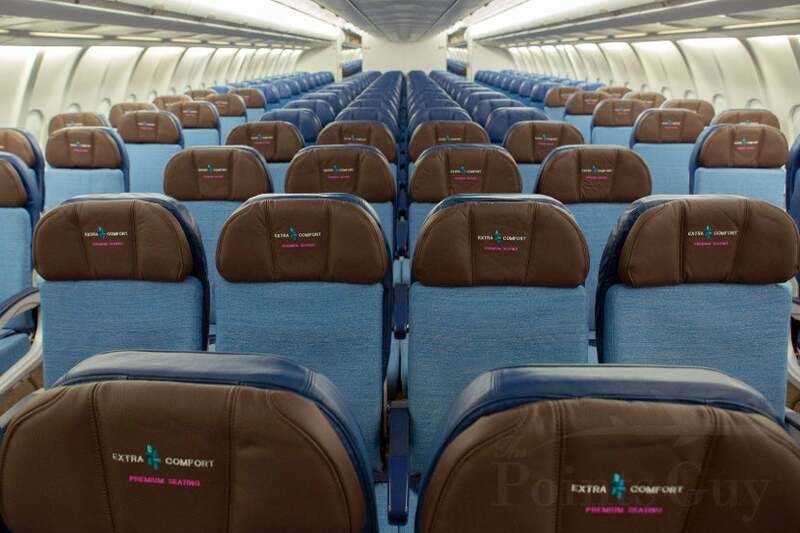 Hawaiian’s new 2-2-2 business class cabin. The lie-flat seats are arranged in a 2-2-2 configuration, so you’ll likely have a neighbor wherever you end up sitting. 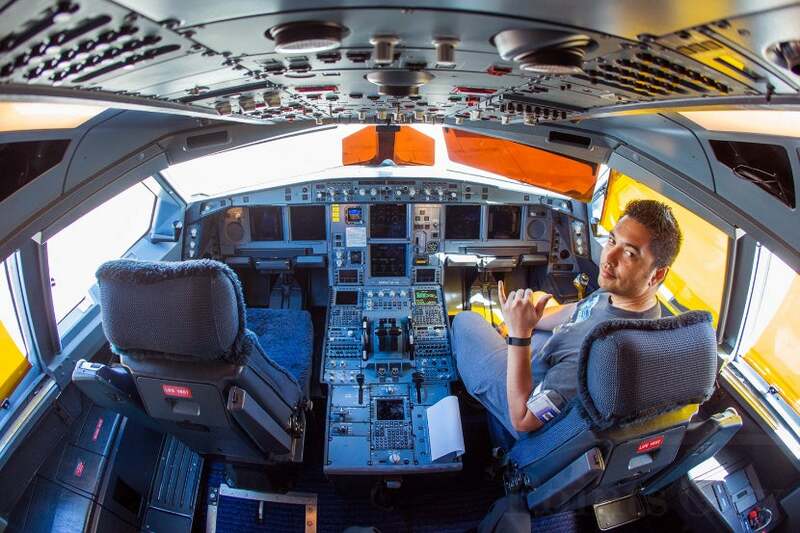 Anthony notes that the cabin feels very spacious, despite the center overhead bins. 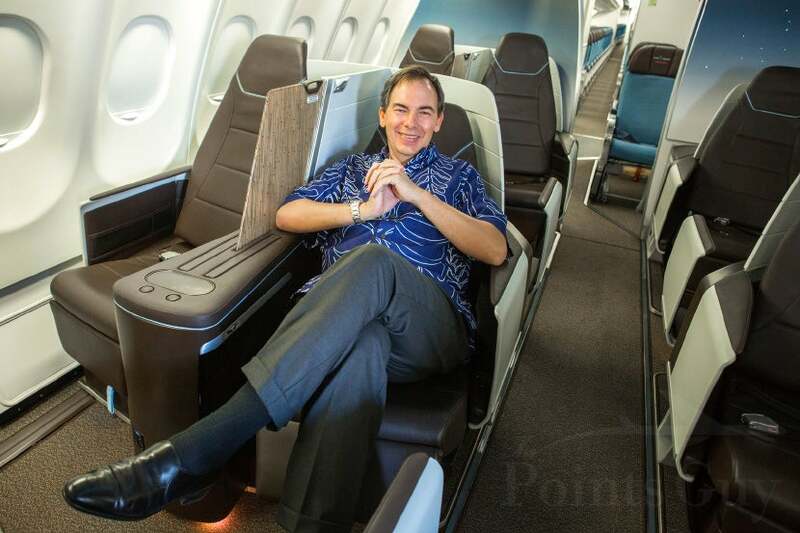 Hawaiian Airlines CEO Mark B. Dunkerley in the airline’s new business-class cabin. Hawaiian Airlines’ CEO Mark B. Dunkerley fits comfortably in the seat — seats measure 76 inches long, but they’re relatively narrow. The refreshed cabin has a twinkling sky feature on the back wall. Center seats are probably your best bet if traveling alone, since both passengers have direct aisle access. Each seat has a built-in tablet holder. There’s a tablet holder built into each seat. 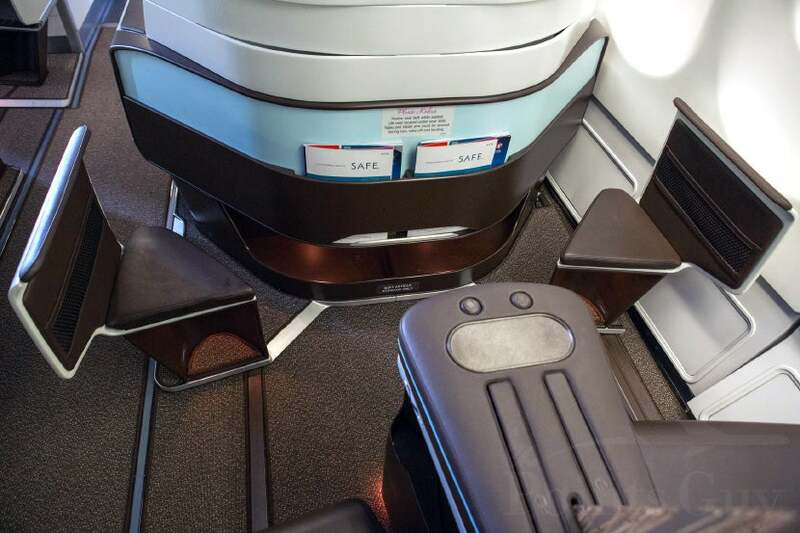 The holder can adjust to accommodate a variety of devices — Hawaiian installed 13-inch iPad Pros in the demo cabin, which will be available for passengers to use during their flights. The built-in tablet holder can swing out of the way when not in use. If you want to rest or use your laptop, you can swing the tablet holder out of the way. In the full lie-flat position the seat extends out to the fixed ottoman. The standout feature with this new cabin is the lie-flat bed mode. With flights from New York City approaching 11 hours in length, you’ll probably want to catch some shut-eye, even on a daytime flight. There’s also a fairly sizable tray table. Each seat also has a large tray table that slides out from the center console, giving you plenty of space to spread out during mealtime. You can easily access the iPad as you eat a meal. 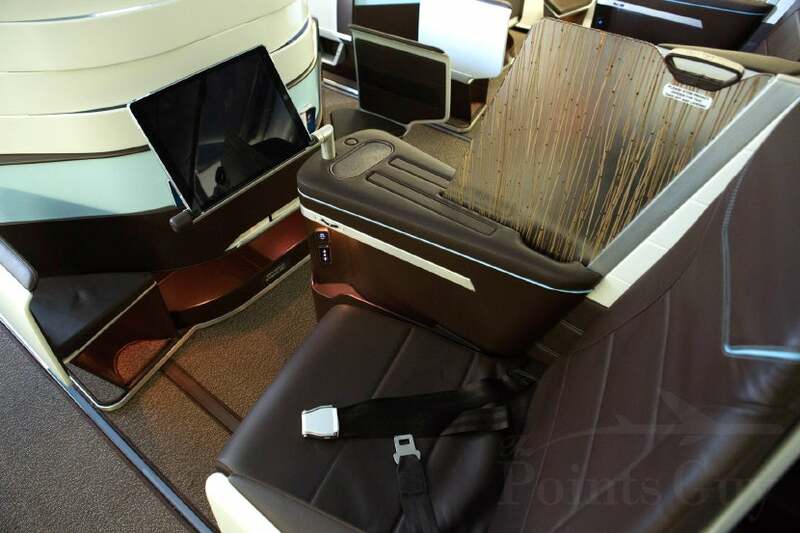 The seat is designed in such a way that you can watch content on the tablet as you enjoy a meal or work on your computer. The leather seats are comfy and fresh. 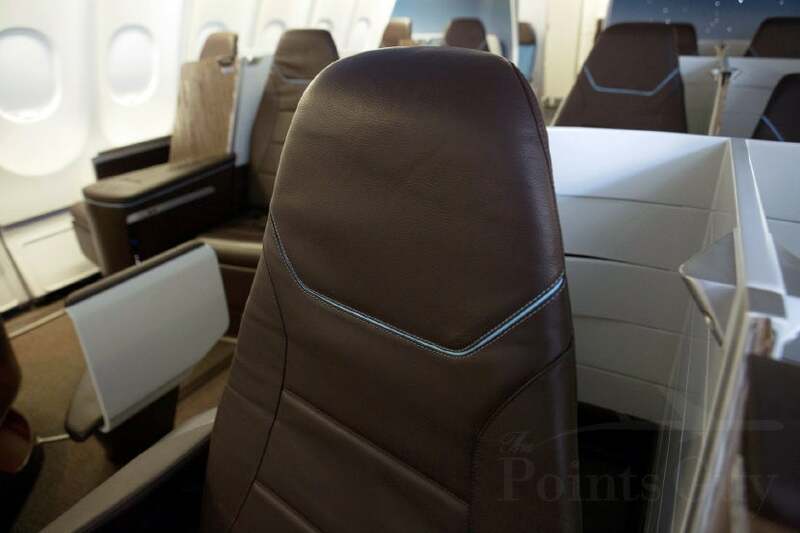 Naturally, the seats are in phenomenal condition — the leather material should also make it easy for Hawaiian to quickly clean each seat between flights. A seat divider adds privacy when you’re sitting next to a stranger. While a 2-2-2 configuration isn’t ideal, especially on the fairly narrow A330, you do have the option of sliding out a divider to add some privacy between seats. Each seat has a universal power outlet and USB charging. 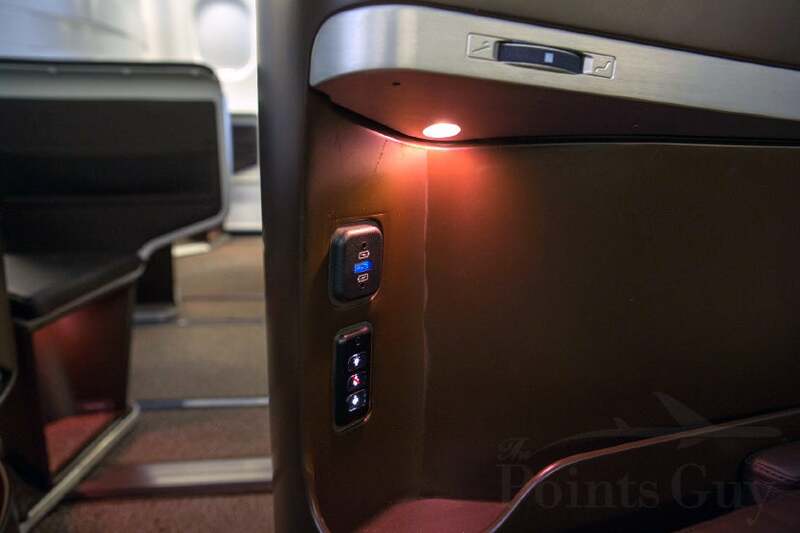 Of course, you’ll probably need to plug in your computer or a smartphone on a long-haul flight — Hawaiian offers both power options at each business-class seat. There’s a second USB port under the arm rest. 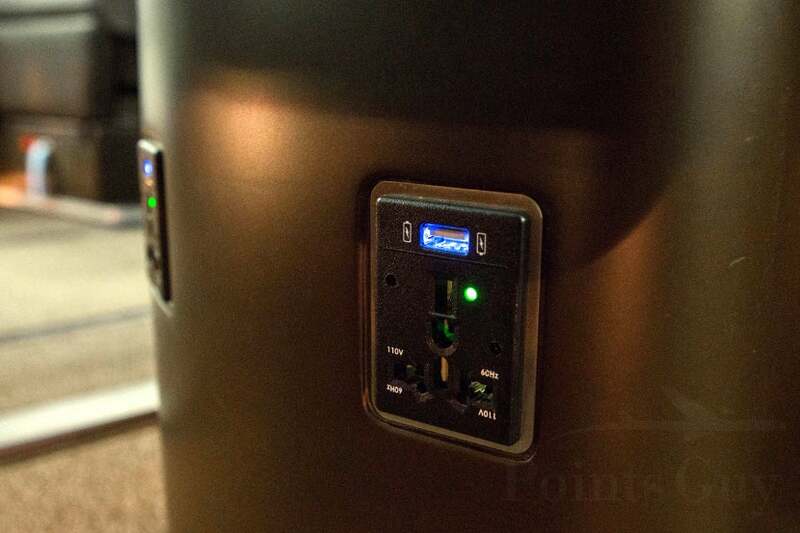 And there’s a second USB port under the arm rest, so you can charge a smartphone as you power your iPad. Each pair of seats is self-contained, allowing you to recline without impacting the person behind you. With recliner seats, leaning back often means that the person behind you ends up with less room to move around. Fortunately, with this new lie-flat design, passengers can recline all the way to the full-flat mode without affecting anyone sitting behind. Each seat has a fixed ottoman, so you can put your feet up even before you recline. While you can’t recline the seat during taxi, takeoff and landing, you can begin to get comfortable by placing your feet on the fixed ottoman in front. There’s plenty of overhead storage as well. While there isn’t much space to store your belongings in the seat, there’s plenty of room for luggage up above. 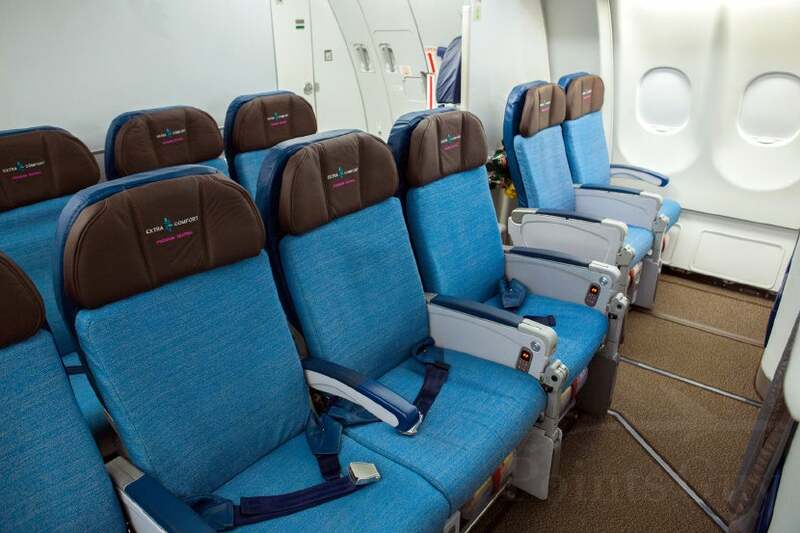 Hawaiian’s refreshed economy cabin consists of 276 seats in a 2-4-2 configuration, though it doesn’t represent a huge step up from the airline’s existing product. The 2-4-2 economy cabin isn’t anything special. 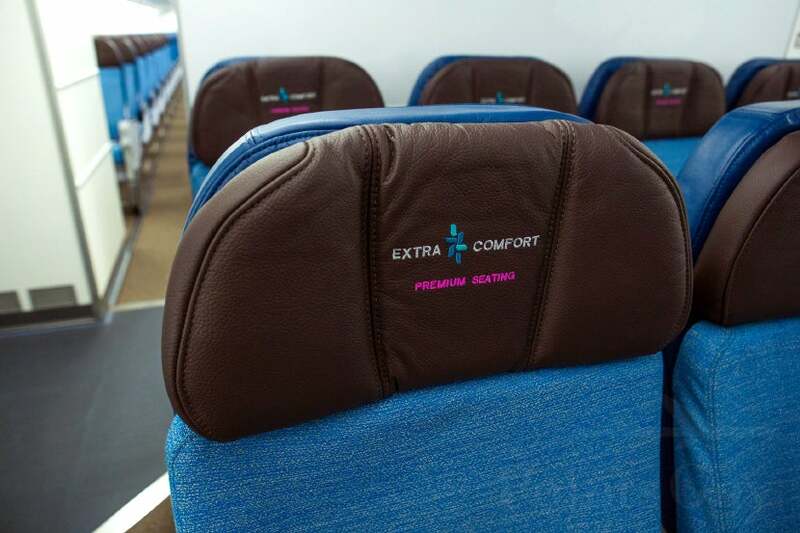 Hawaiian offers 40 Extra Comfort seats on this plane, which are available for an additional charge. Bulkhead seats provide a bit of extra room. 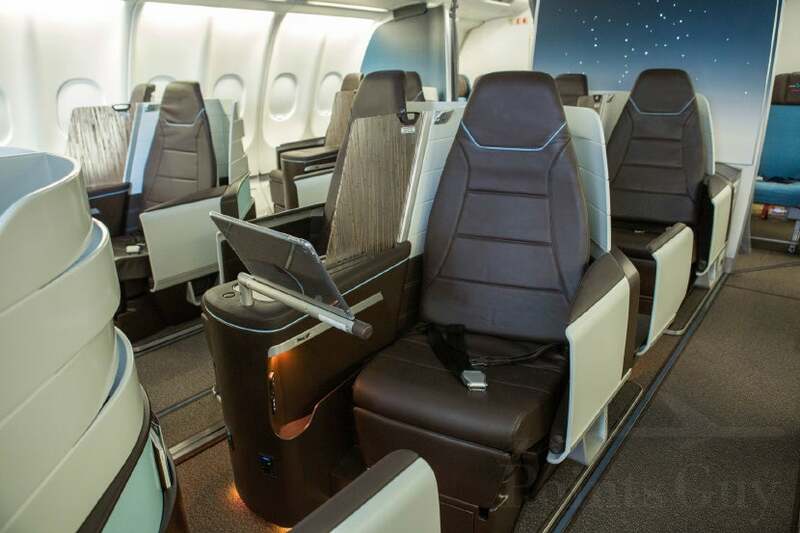 The mini-cabin just behind business class provides some additional privacy and legroom, especially in the front row. Economy seats have adjustable headrests. Each economy seat has an adjustable headrest — while you won’t have an experience that’s even remotely as comfortable as what you’ll find up in biz, the headrest will provide support if you’re trying to rest without a window to lean on. 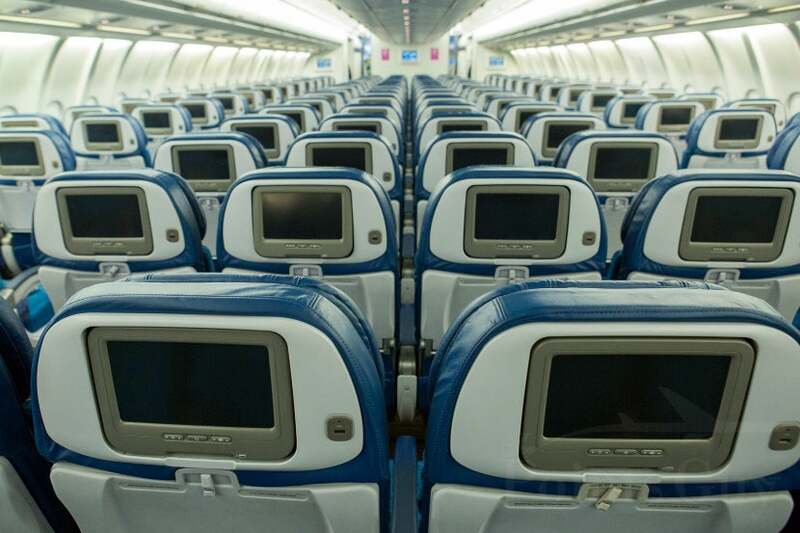 Economy seats offer on-demand in-flight entertainment. 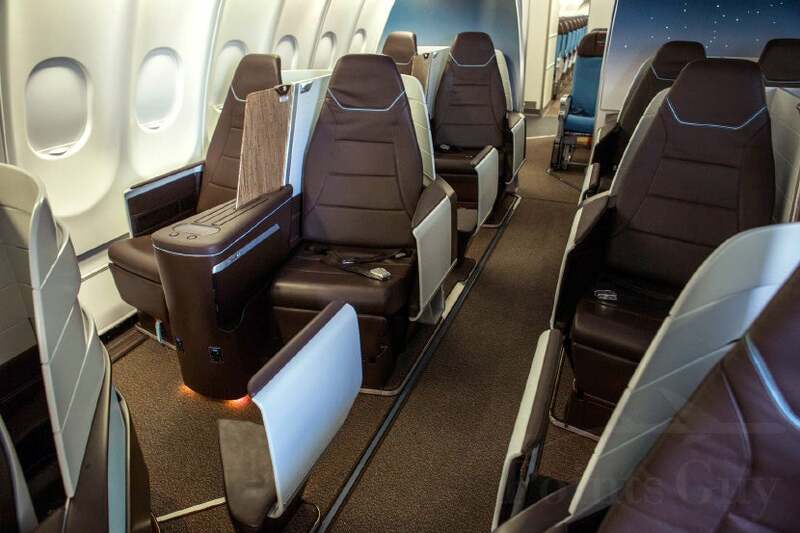 Economy seats have built-in on-demand entertainment, along with a dedicated USB charging port. 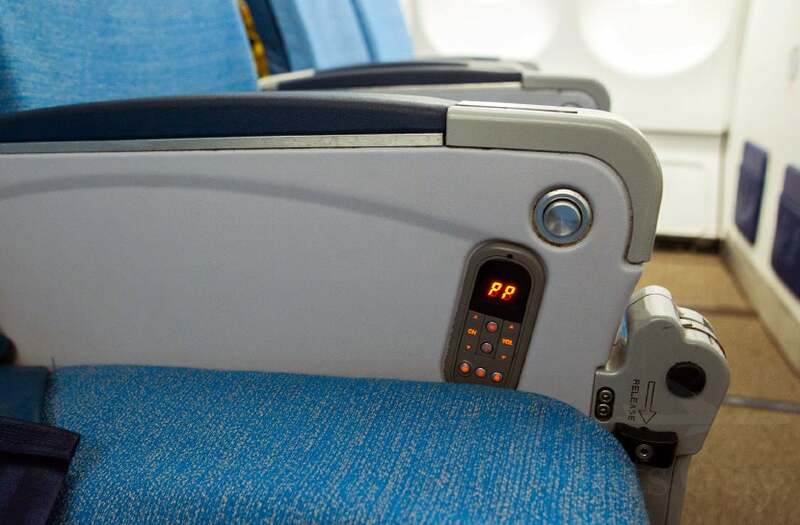 A small entertainment control is fixed to the seat. Each seat also has a fixed remote control, but you’ll probably want to select content on the display itself. 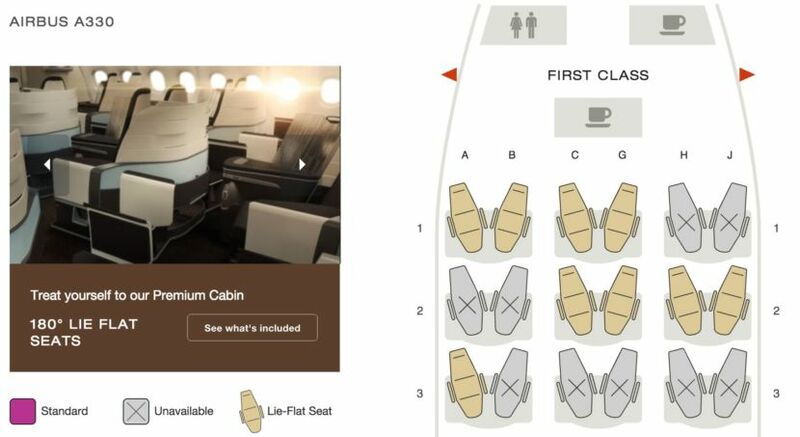 Hawaiian’s new business-class cabin looks fantastic, and while a 1-2-1 configuration would be preferred — such as what American features on its 777-300ER — Hawaii is a leisure destination with price-sensitive premium-cabin passengers, so the airline needs to add more seats to turn a profit. That said, Hawaiian’s A330 does now offer a comparable product to what you’ll find on some Delta and United flights to Hawaii, so your experience should be in line with (or superior to) what you’ll get with those carriers. Inside the cockpit of Hawaiian’s A330. 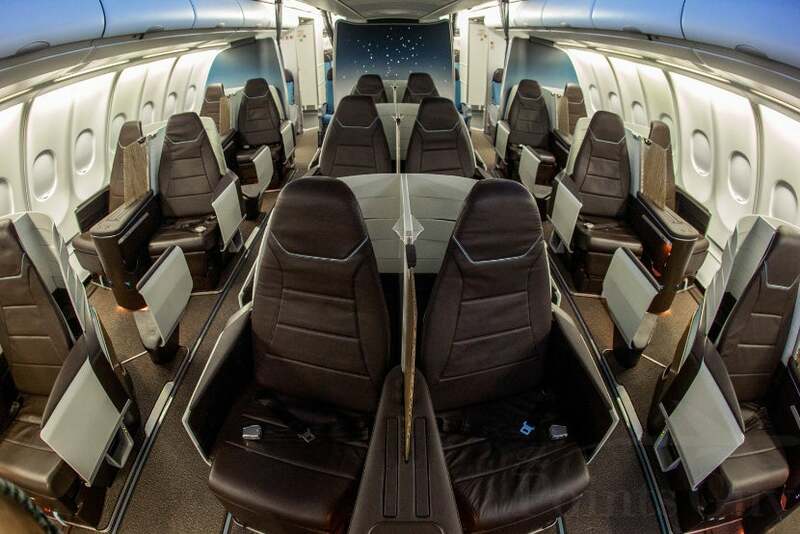 If you’re flying to Hawaii, Hawaiian Airlines is certainly worth considering, especially if you’re able to get on this new plane. 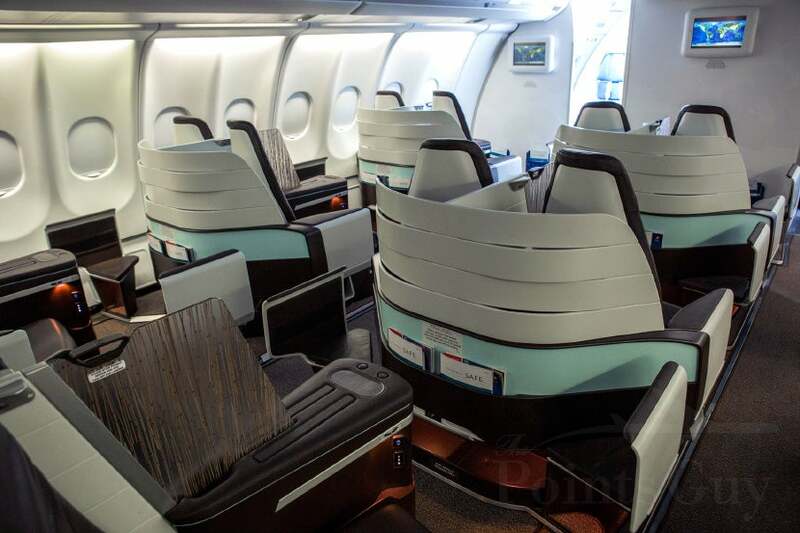 The plane is expecting to begin operating some flights to Los Angeles beginning next month, and by the end of next year, all of Hawaiian’s A330s should have this new business-class product. Round-trip business-class flights from the West Coast to Hawaii will run you $1,000 and up, while nonstop flights from New York (JFK) to Honolulu start at around $2,500 round-trip. The airline operates its A330 on flights to Las Vegas, Los Angeles, New York, Portland, San Diego, San Francisco and Seattle. 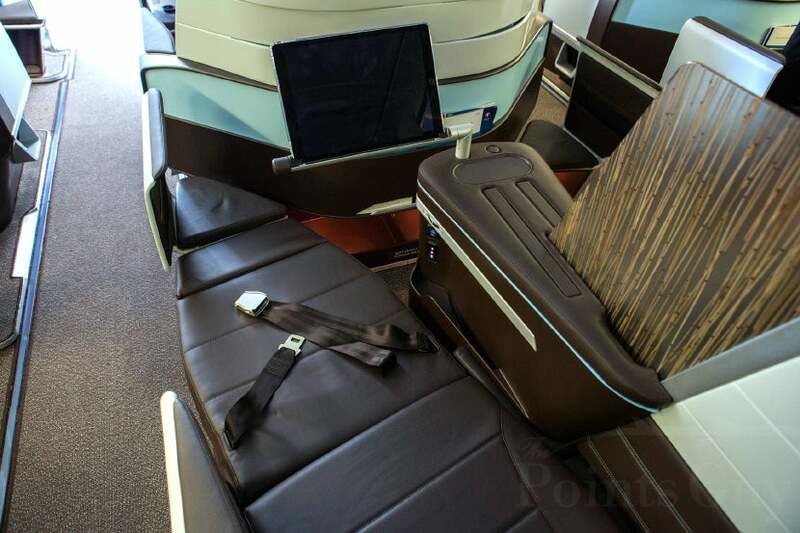 What do you think of Hawaiian’s new business-class seat?